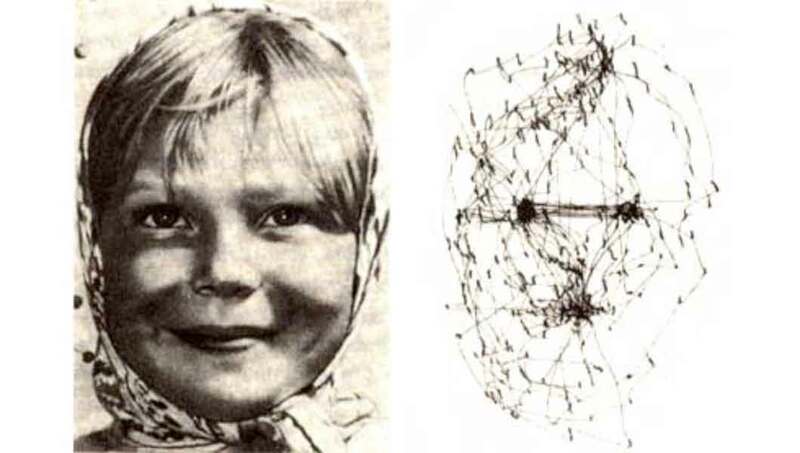 There is an interesting confluence of innovation, invention, and discovery during the first decade of the 20th Century. 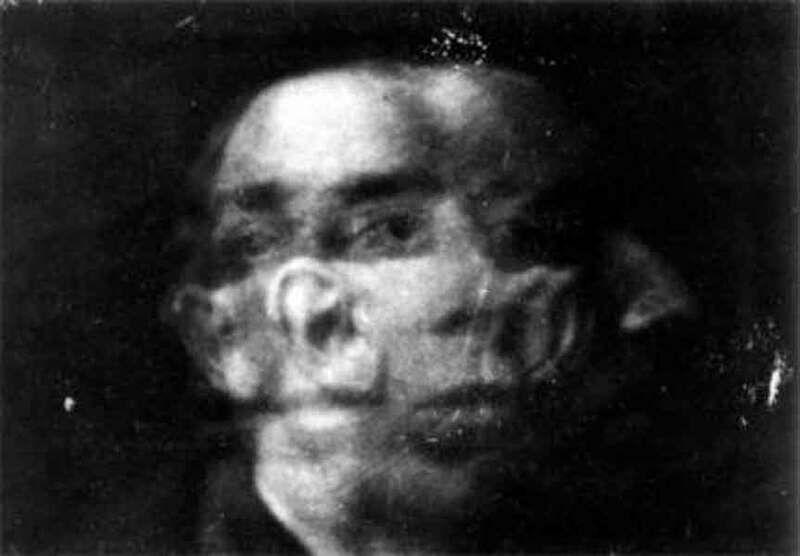 In the context of the first major publication by Sigmund Freud (The Interpretation of Dreams, 1900), the first voice-radio broadcast (Fessenden 1900), the Theory of Quantised Energy (Planck, 1900), the first consumer camera (Kodak Brownie, 1900), first trans-Atlantic radio-telegraph (Marconi, 1901), first hand-drawn animation (Emil Cohl, 1904) the publication of Einstein’s Special Theory of Relativity (1905), and short films by George Albert Smith, George Melies, Lumiere Brothers, Charles Tait, Robert Paul and many others, Pablo Picasso paints Les Demoiselle d’Avignon (1907), and Picasso and Braque begin to explore simultaneous perspective in their Cubist period (1907-1913). 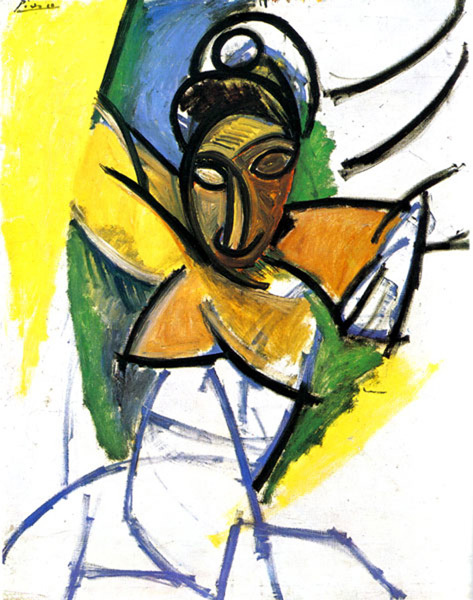 This article looks at this extraordinary art movement, the possible influence of early films on Picasso and Braque, the issues of perspective, point-of-view and what recent research has revealed about how we see – how we make internal images in our mind (and how we make images on paper) – tells us about the Cubist approach. 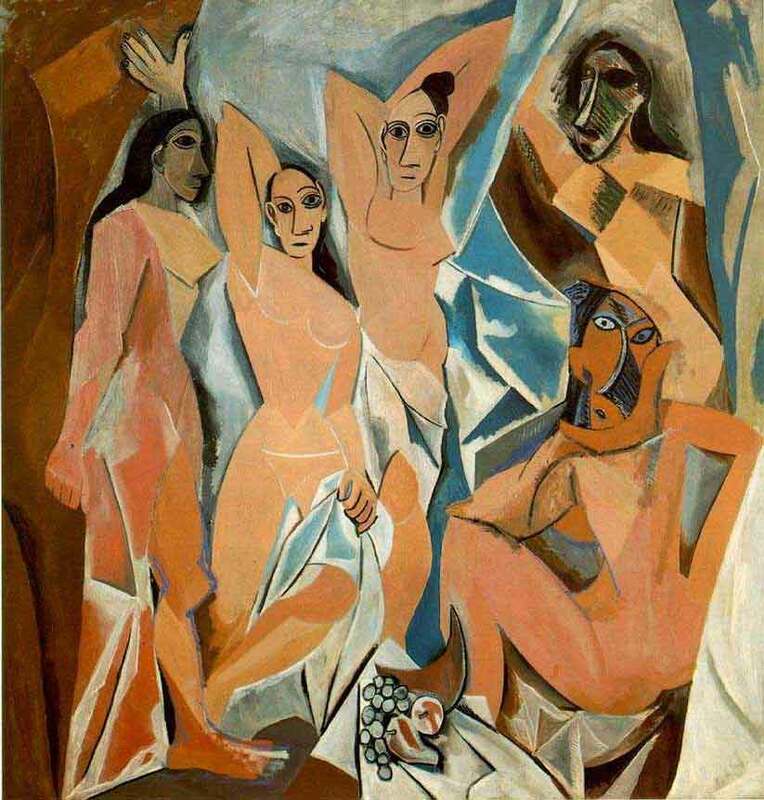 But the Demoiselles itself was so revolutionary that Picasso’s friend begged him not to exhibit it, fearing it would destroy his reputation. 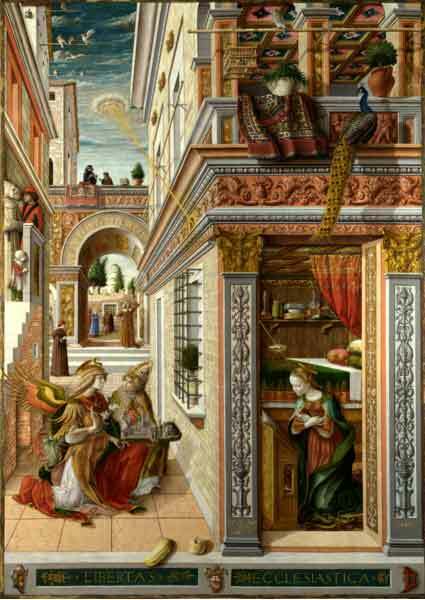 This large (2.3×2.4 metres) oil painting remained out of the public eye for 20 years. 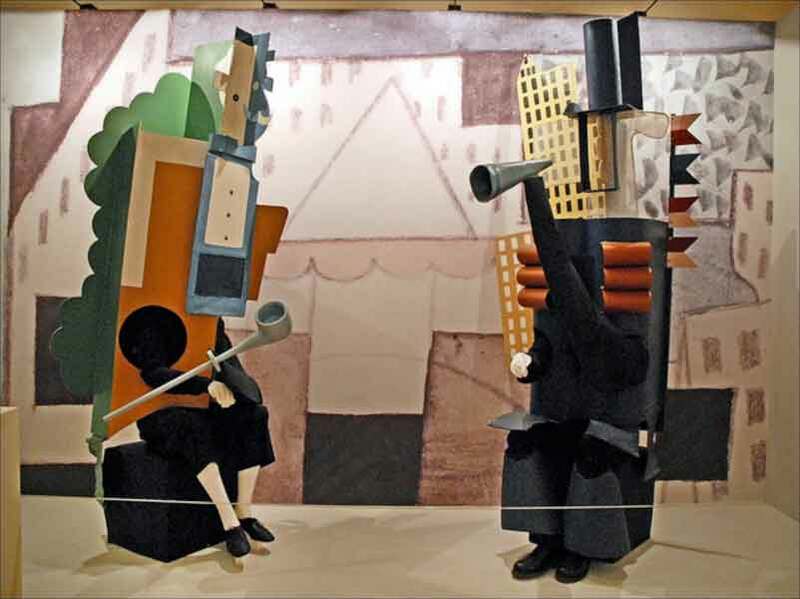 It was the central work in the MOMA Cubist Exhibition of 1937. 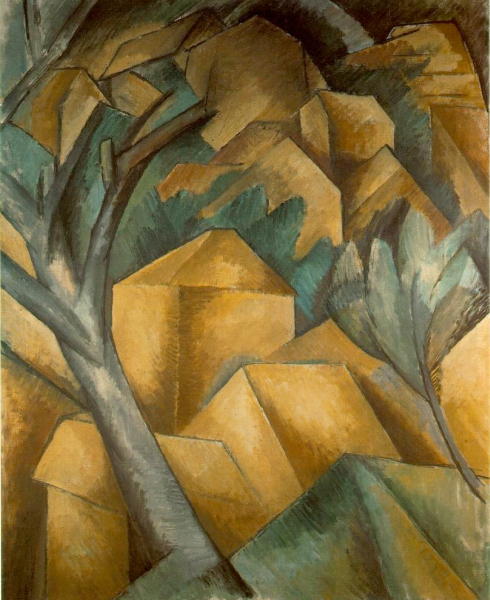 It is reckoned by some to be the first Cubist painting, and it is certainly the direct antecedent of Cubism, but for many others the Cubist movement (initially just Picasso and George Braque) begins with the Braque painting House at L’Estaque in 1908. Which in turn was probably influenced by Paul Cezanne’s later work (such as his Mont Sanite-Victoire of 1904). Renaissance artists began to explore the ‘conical vision’ of vanishing point perspective, and, as these prints by Durer and others show, they investigated mechanical and optical devices to improve their perspective drawings. The human eye perceives reality in a way quite different from the way that a camera captures a scene. All aspects of a photograph – every pixel – is mechanically recorded from the scene. 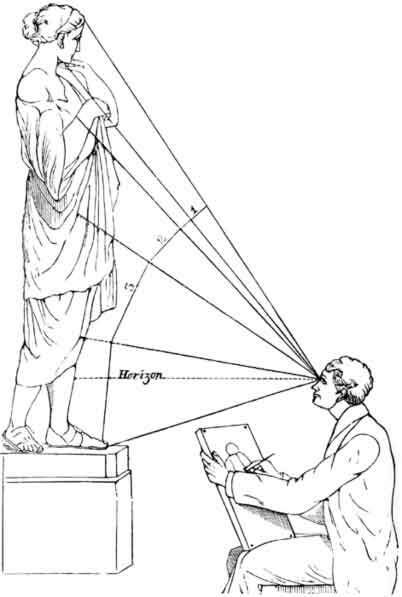 The photographer uses viewfinder cropping, light and shadow, (chiaroscuro), or sharpness and blur, to focus our attention upon the subject, but the image is captured all-at-once, while the artist may be looking (eyeballing) and drawing (groping) for hours to create a drawing. 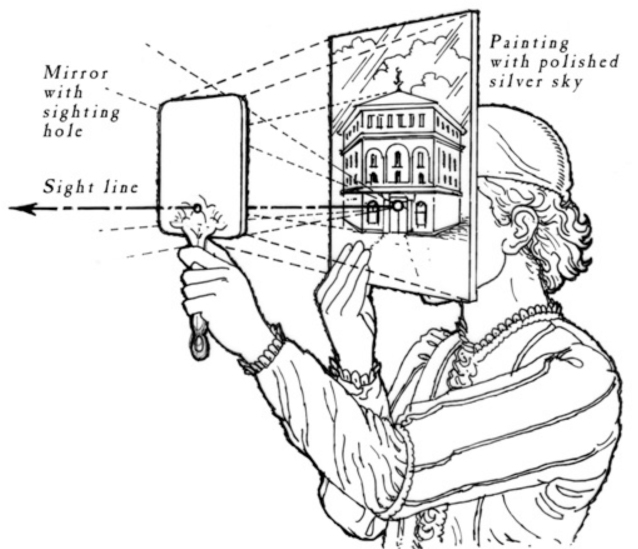 The artist is using both eyes, interpolating the three-dimensional form of the subject. 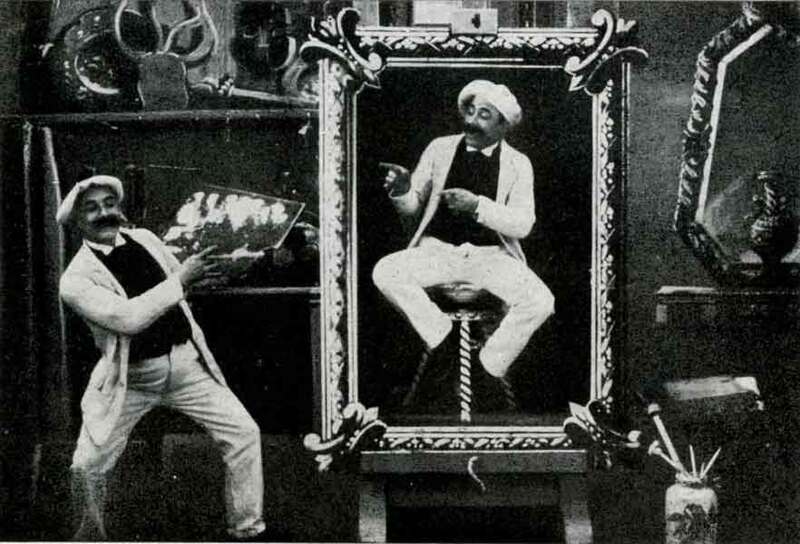 The artist is moving his head – and his eyes – to examine each element in the scene. The resulting drawing is then necessarily a composite of views – a simultaneous perspective, a composition achieved by the interaction of the subject, the artist’s perception (and his knowledge and memory), and the skill of his hands with the drawing tools at his disposal. Then there are other recent psycho-neurological studies (including Manfred Zimmerman Human Physiology 1989, and Tor Norretranders: The User Illusion 1991)), that show that of all the 10 million bits/second that we perceive unconsciously, actually only 40 bits/second are consciously apprehended. Our Consciousness works by throwing away vast amounts of data – in Norretranders words we operate by using exformation rather than information. The camera records all the incoming data. An artist selectively chooses the data most meaningful to them. So drawing is an activity that is conditioned by the artists memory, their intellectual and emotional state, and of course by their physical skills. After Cubism, Photographs could be seen for what they were: a monoscopic reproduction of a single fraction of a moment of reality. 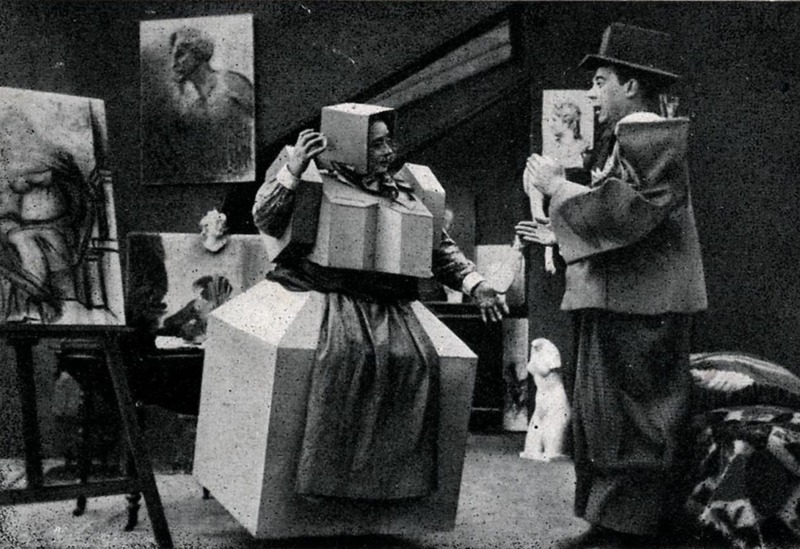 “The Cubist’s created a system by which they could reveal visually the interlocking of phenomena. And thus they created in art the possibility of revealing processes instead of static states of being. 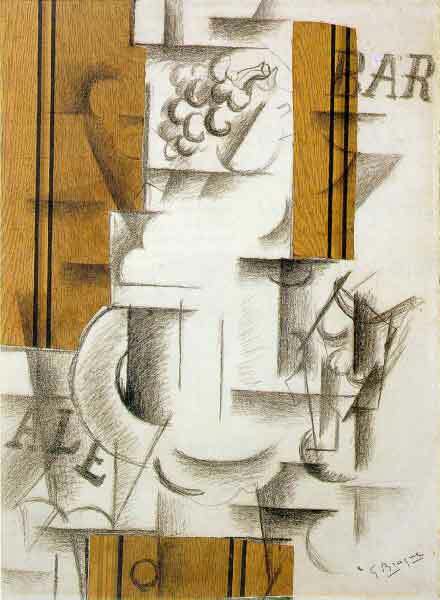 Cubism is an art entirely concerned with interaction: the interaction between different aspects; the interaction between structure and movement; the interaction between solids and the spaces around them; the interaction between the unambiguous signs made on the surface of the picture, and the changing reality they stand in for. What the Cubists mean by structure, space, signs, process, is quite different from what nuclear physicists mean. But the difference between the Cubist vision of reality and that of a great seventeenth century Dutch master like Vermeer is very similar to the the difference between the modern physicist’s view and Newton’s – similar not only in degree but in emphasis. Such parallism between different branches of culture is rare in history. It is probably confined to those periods which immediately precede a revolution. 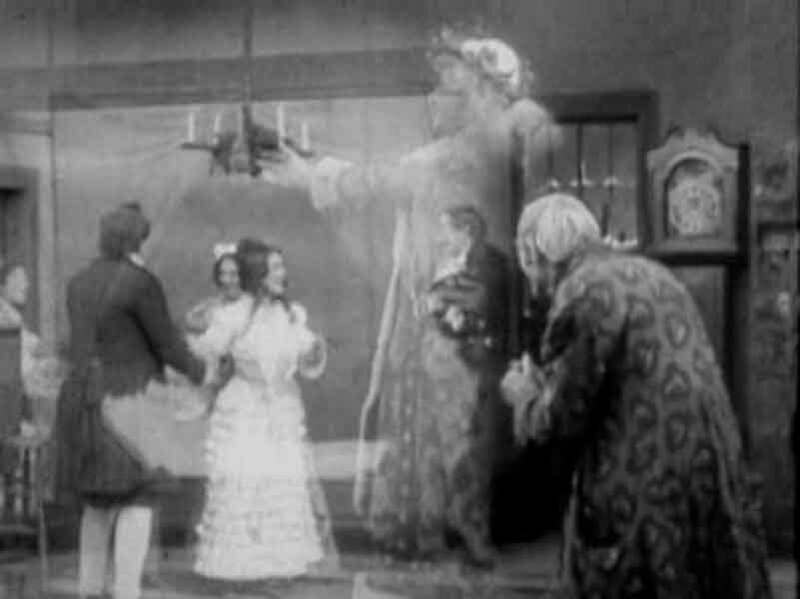 To emphasise once more the remarkable convergence of new factors which produced this poarallism in the period between 1900 and 1914, let us, for one moment, consider the film. 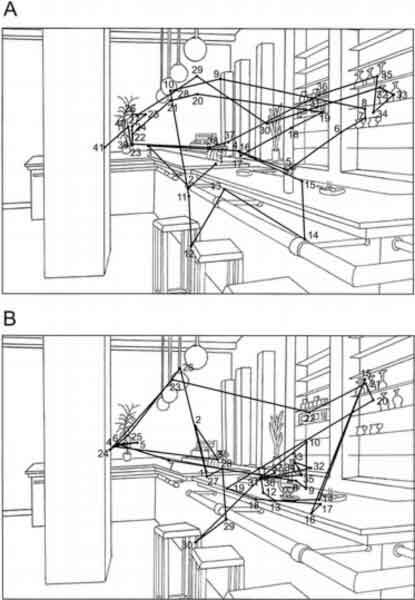 What Berger and Bronowski were hinting at is that Cubism – the realisation in image-making that the Renaissance single vanishing-point perspective (Newton’s, ‘frame of reference’) no longer had an exclusive claim to representing reality – appeared at the same historical moment as Relativity – an interesting coincidence at least! (What is remarkable in all this, is of course the stable consensual perception of reality that emerges from these fleeting, flitting, staccato eye-tracking scans. – but more on this some other time). 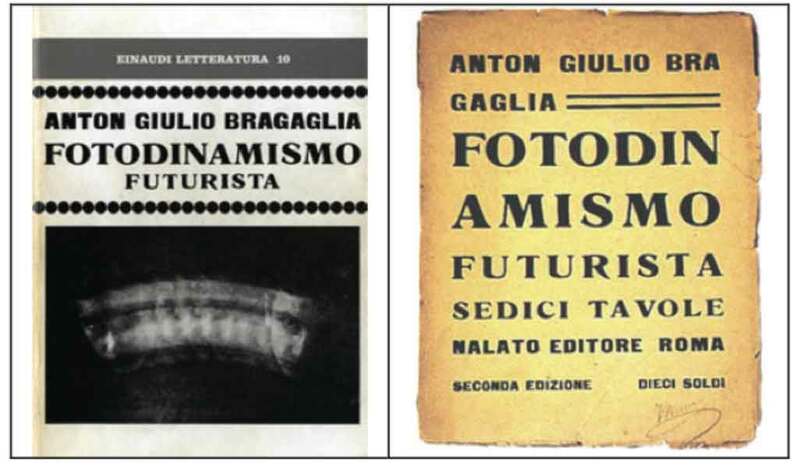 The Bragaglia brothers pioneered Futurist Photography, using multiple exposures, long exposures, super-imposition during printing, and other techniques to express their idea of the algebra of movement – an attempt to capture motion, and to liberate the photograph from the strictures of simply the realistic recording of reality. 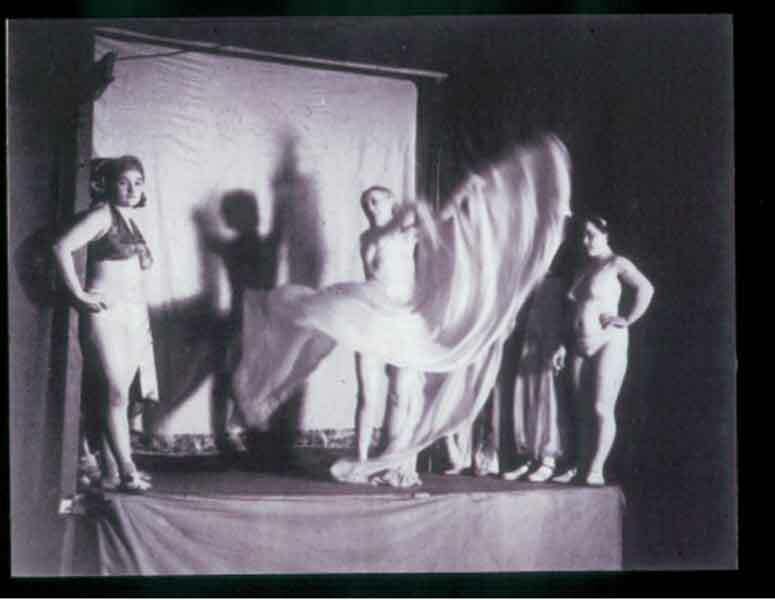 In effect the Bragaglias were introducing movement through time into the photographic image, following Muybridge and Marey in the 1880s and 1890s. 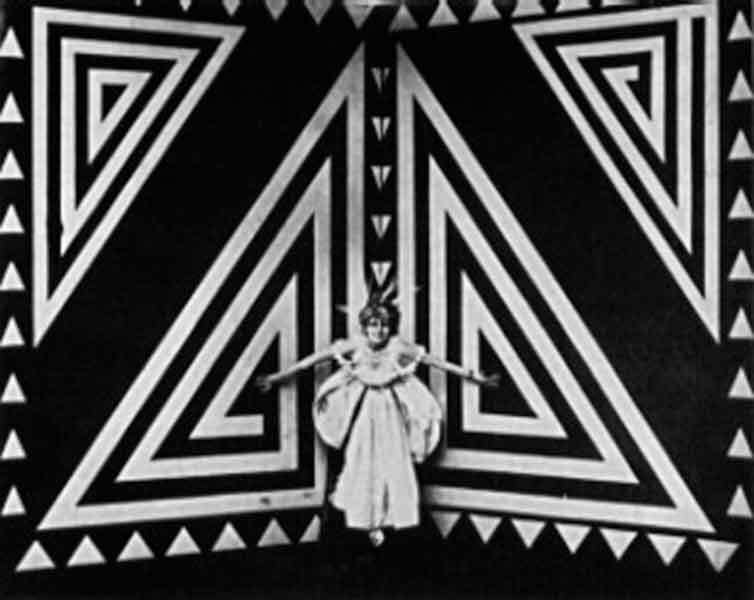 Narrated by none other than Martin Scorsese and featuring interviews with scholars and artists alike, the film doggedly makes the case that moving images exerted a profound influence over the formal development of Cubism, inspiring Picasso and Braque’s invention of a new kind of pictorial space in which, like cinema, reality is viewed from multiple angles at once. 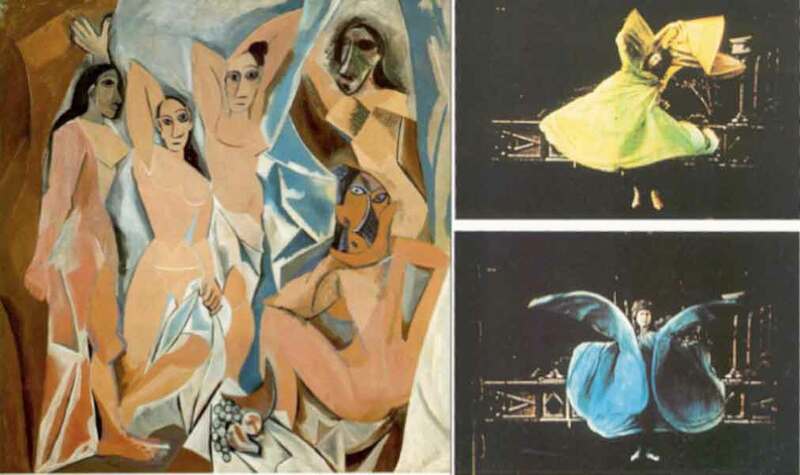 An interview with Arne Glimcher and Bernice Rose on Picasso, Braque and Early Film in Cubism. 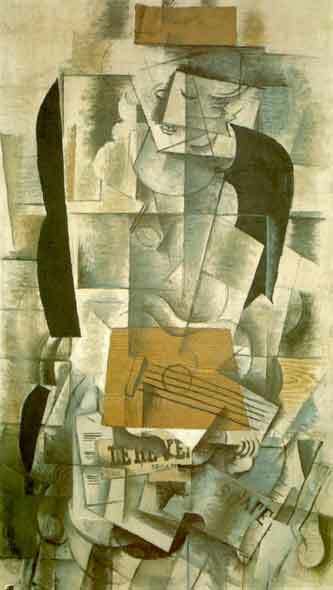 “In 1895 Picasso was at the first showing in Barcelona of Lumiere Bros films at the Salon Naplolean” Bernice Rose. 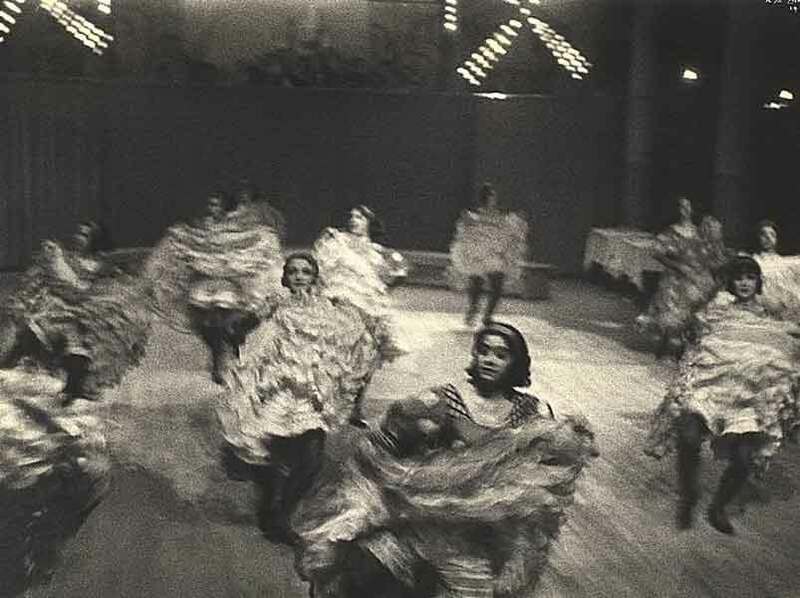 The film makes the case that Picasso’s Les Demoiselles d’Avignon [1907} was inspired by the serpentine dance of Loïe Fuller. 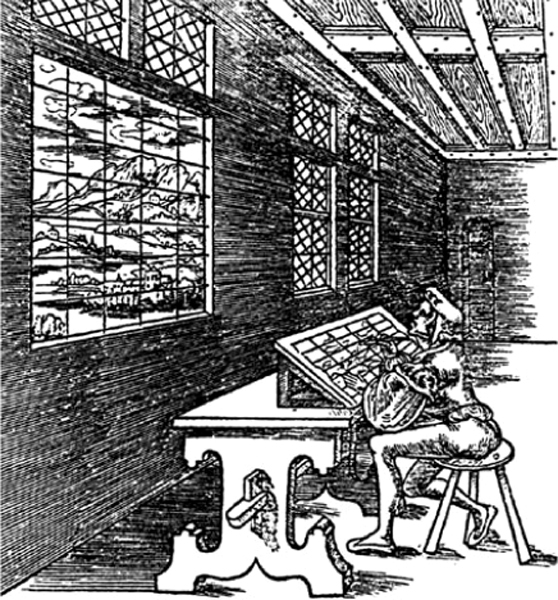 Mirrors, Plate Glass, Shop Windows – all the reflections found in the modern city were new visual phenomena to be explored by artists and photographers fascinated by new perspectives, new symmetries, new juxtapositions and superpositions, and by new ways of situating subjects in context. Double or multiple exposures (achieved in camera by rewinding and re-exposing the neg, or in processing, by over-printing the positive), provided another source of perspectival juxtaposition or simultaneous perspective. 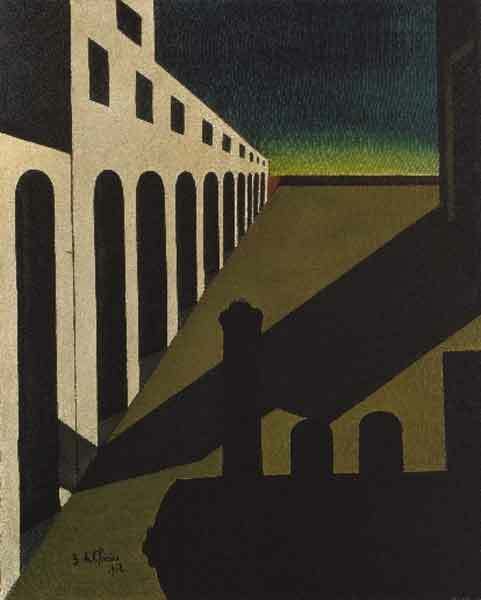 Just to bring us back to perspective, Giorgio de Chirico paintings between c1911-1917 presaged the 1920s Expressionist Film, and most interestingly synthesised several perspective views and projections into each painted scene, mixing vanishing points, isometric and axonometric projections into fleeting images…like stills from movies yet to be made. 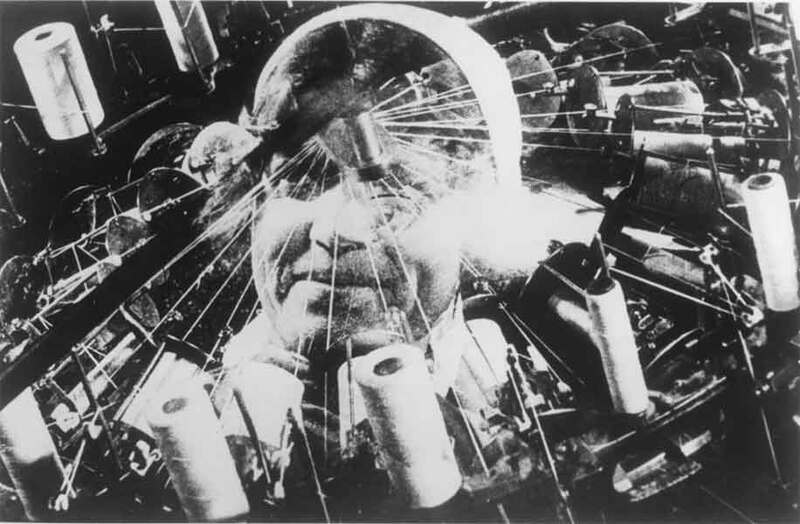 Of course, the apotheosis of ‘cubist film’ is Vertov’s Man With A Movie Camera (1929). Vertov’s inspirational 68 minute silent film explores a day in the life of the cameraman as he explores Odessa and other Soviet cities, illustrating the new USSR through a montage of shots and sequences. 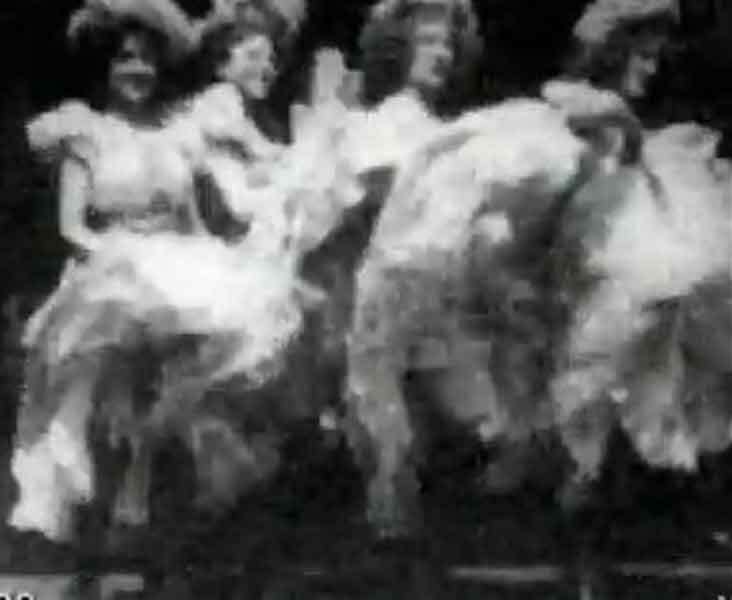 During the making of Man With A Movie Camera Vertov evolved a technique of ‘non-linear’ narrative previously explored by the artist Fernand Leger and film-maker Dudley Murphy in their experimental film Ballet Mecanique five years earlier in 1924. 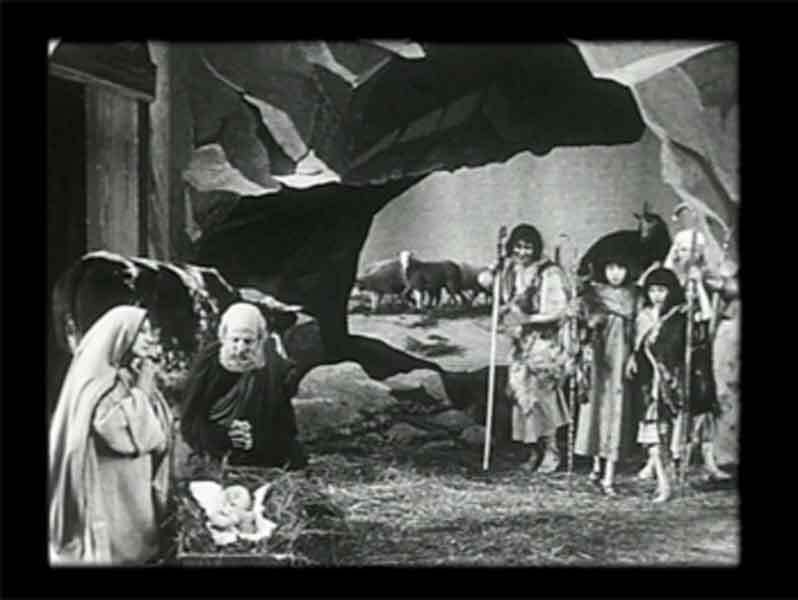 This kind of narrative involved shooting lots of shots and sequences, then editing them into a loose visual narrative with assistant editor Yelizaveta Svilova, who had previously worked on short films in the Kino Pravda (Cinema-Truth) series, and One Sixth of the World (1926) (http://www.youtube.com/watch?v=xsFT7D7spBQ) – a feature-length documentary (‘a poetic travelogue’ – Wurm) also directed by Vertov, which some critics have described as ‘the perfect documentary’. Again it is a montage of shots counterpointing the lives of the bourgeoisie and workers, factories, dance halls, tearooms, mills, foundries, dancers, building sites, Jazzbands, native villages, (etc) all punctuated with massive cyrillic typography inter-titles declaiming капитал (CAPITAL!) ‘ON THE BRINK OF HISTORICAL DOWNFALL’ and other Soviet slogans and descriptors. “According to Vertov, the film anticipates the coming of sound films by using a constant “word-radio-theme” in the intertitles.” (Barbara Wurm). In many ways – bold, explosive and expressive typography flashed on the screen – Vertov’s developing style of film-making has much in common with the kind of motion-graphic essays mixing film, graphics, images, motion typography etc that were explored using Flash and other authoring applications from the mid-1990s onwards. This is also an example of the synaesthetic quest that repeatedly appears throughout the Modernist period – from Kandinsky’s colour-sound equation (1910), to Scriabin’s Prometheus colour-music poem (1915), and on to the work of Moholy Nagy (Lichtspiele 1922), Vladimir Baranoff’s Optophonetic Disc (1924), this theme iterates through into the 21st Century.. (for example, see Golan Levin’s Messa di Voce 2003 and other pieces). 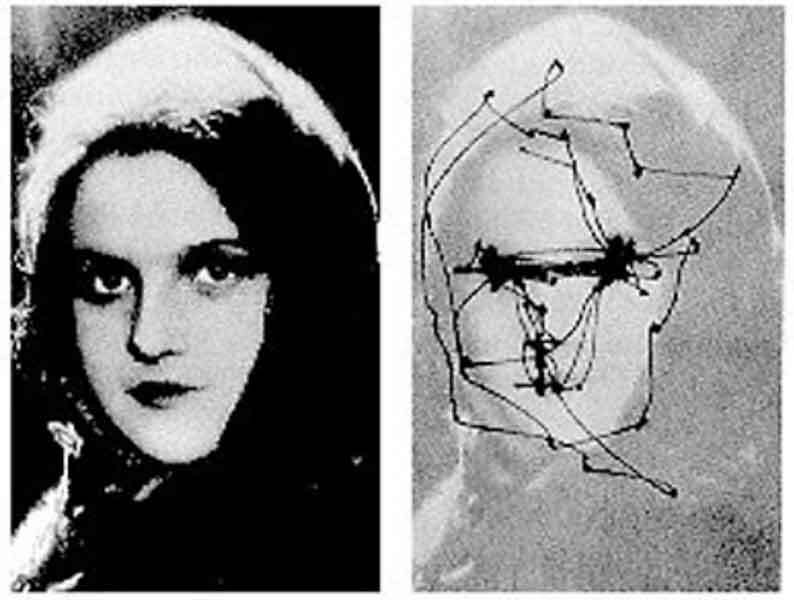 The multiple-perspectives and variety of points-of-view, rapidly intercut, of Vertov’s revolutionary films illustrate the central point we are making here – that cinema – the medium itself, regardless of content, creates a kind of simultaneous perspective – a roving, restless and inquisitive eye that is the ‘new vision’ of the 20th Century. David Hockney has repeatedly returned to the exploration of cubist ideas and perception. 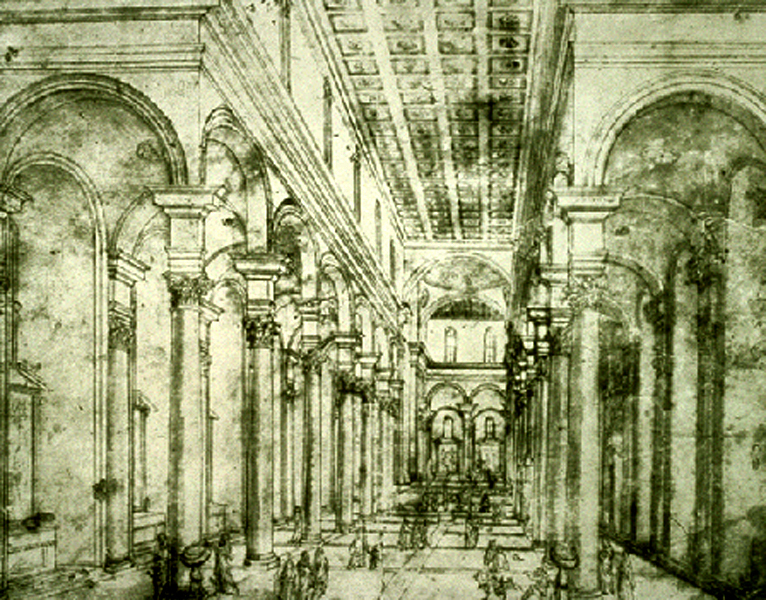 His successive explorations of multiple simultaneous perspective, visual attention and saccadic-scanning in his Joiner photographs (from 1980s), his experiments with non-perspective drawings, his revelations of the use of camera obscura and other perspective-aids in Secret Knowledge (Rediscovering the lost techniques of the Old Masters, 2001) and now (2010-2012) his multi-screen, multi-camera videos, his video Bigger Picture. The impact of these 9-screen and 18-screen videos is very interesting. 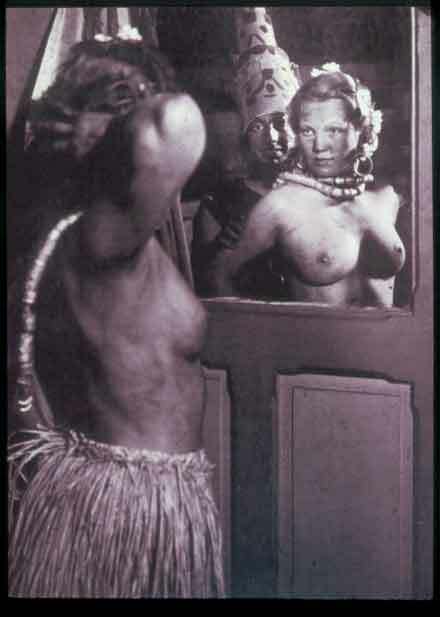 They have a visceral visual impact, driving the viewer’s attention to the saccadic scanning of our visual apparatus. 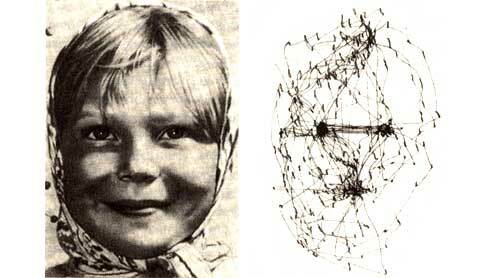 The slightly different lensing, cropping and time-code imbue each frame of motion video with a degree of difference from the other frames such as to be a significant attractor for our attention. 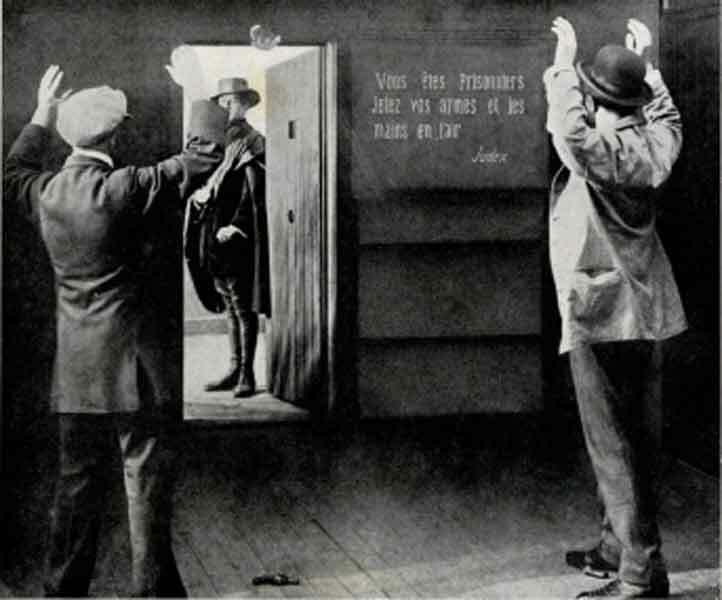 Our saccadic scanning of these screens – look at this, look at this, look at this…echoes and replicates our normally unconscious saccadic scene-scanning, forcing us to a realisation that ‘the Cubists were Right!’. We SEE more.